I hope you all had a wonderful weekend! The weather in Chicago was beautiful!! Crazy how the weather has changed my mood. I am so much more happy! Unfortunately, I did not have the relaxing weekend that I was hoping for. I had to put in a lot of extra hours for work 🙁 Although, I did sneak out to get some Italian Ice to reward myself! This will be another hectic week, but I do hope it will be worth it (crossing fingers!). What did you guys do this weekend? really cute pics and look! Love your pants!! Such a fun post! 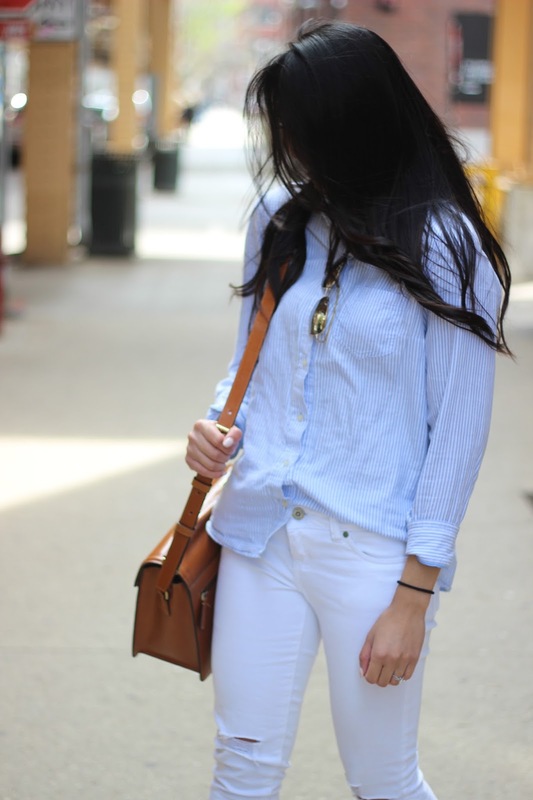 Love the white jeans. The silver shoes are a fun pairing. So loving this simple chic outfit. 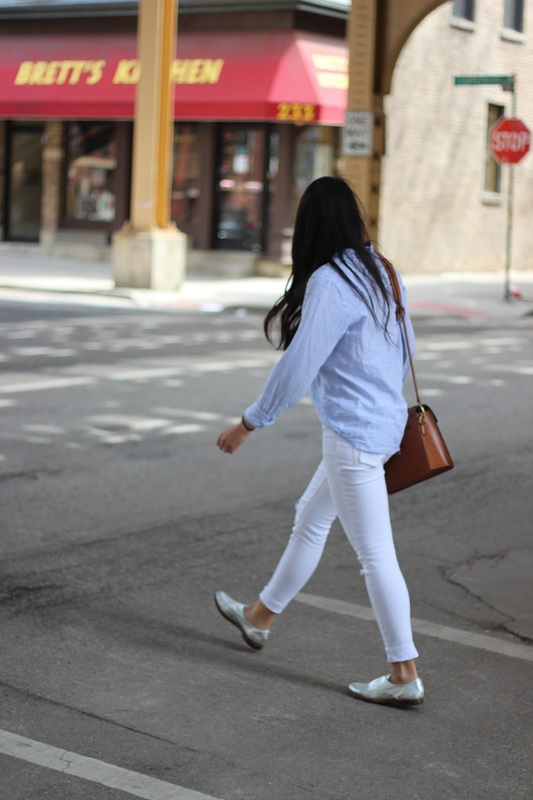 We're all about white denim and your oxfords are the cutest! Thanks Vanessa! You're too sweet! Love these shots, Rach and your silver loafers are so super cute! oh i so love your metallic shoes!! Great outfit! I love the metallic shoes! We enjoyed the beautiful weather with a trip to the zoo! I LOVE Italian ice, so jealous. (; Lovely look Rach! The white jeans with the metallic shoes is so perfect!! I love this look! 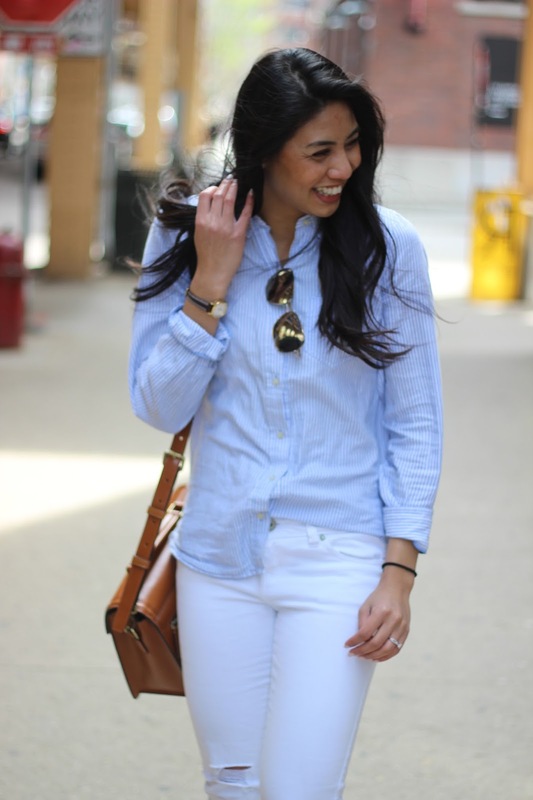 The white jeans and gorgeous with your button down, and those shoes are amazing! You look so chic, cute and fresh!! Love it! Perfect outfit! Hope you've had a wonderful Monday!! These photos are so cute…I love the outfit! You look so beautiful! I love this fresh look and girl those shoes!!! imma need to get some of those, so cute! Thanks Janessa! They're seriousky the greatest! Ah sorry to hear it's been so stressful at work these days. The warm weather really does seem to help though, doesn't it? Loving this outfit and the pics – especially the mid-jump shot! The warm weather seriously does help! Thanks so much Jackie! Cute outfit! Loving those metallic shoes! The weather really does affect your mood so much. I am much happier with the sunny days we've been having lately! I love the outfit and hope the stress dies down at work! It sure does!! Thanks so much Brooke! Such a cute casual look. I'm loving the jeans and the shoes! 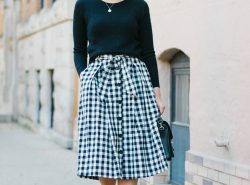 This is such a cute look! I just love the sunglasses and those shoes!